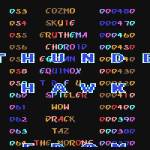 Thunder Hawk is a vertically scrolling shooter built by Steve Dunn, who did a number of games on the C64, including Call Me Psycho. It is not fully known why the game was not released, as Steve was paid for his work – though thought it strange that he never received a copy afterwards. The game features some fair graphics, though as a game it will not hold your attention for long. 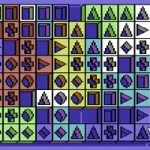 What is interesting is the use of passwords throughout each of the 20 levels. Music is an early tune set by Mark Tait before he went to work for Tiertex we believe. Anyway, until we learn more about this game development, here it is to download and check out.